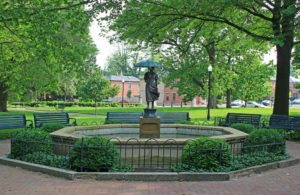 German Village is a neighborhood just south of downtown and east of the Brewery district that was settled in the early-to-mid 19th century by mainly German immigrants. 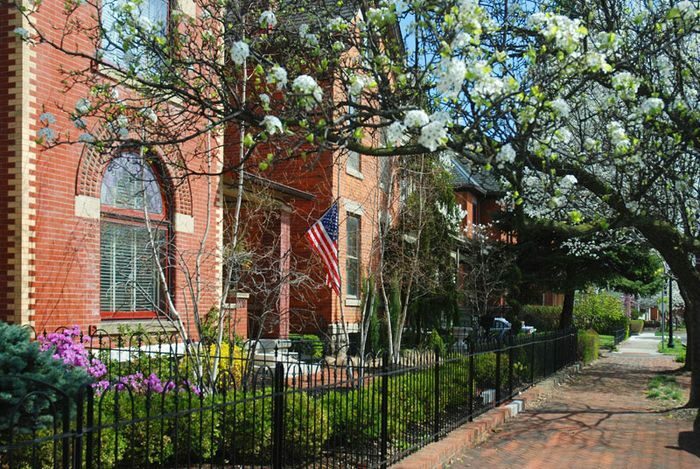 There is a lot of interesting Italianate architecture, winding streets with brick sidewalks, historic buildings, and alleys. 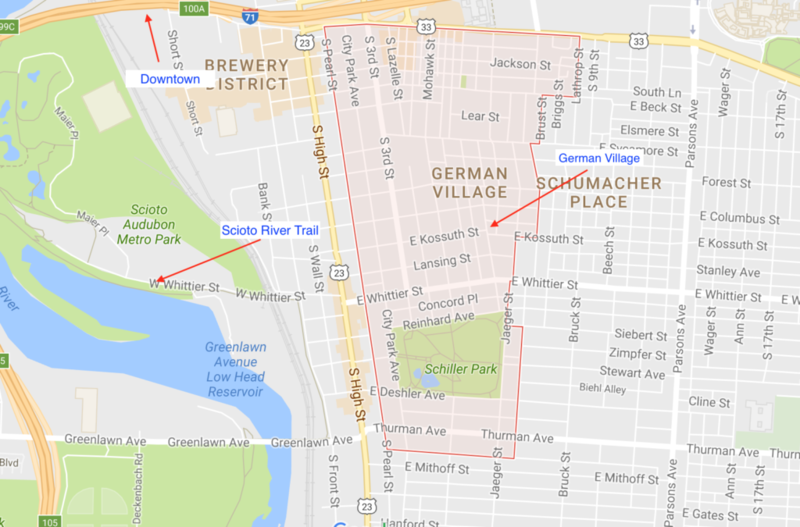 Schiller Park is located in the center, and has lovely paths that in all make for about 1/2 mile of running. In all, the neighborhood is 230 acres. Rather than proscribe a specific route, we encourage a leisurely ‘touring’ run of the area. Especially nice, early, before stores open and the sidewalks are crowded. Be cautious about your footing on those brick sidewalks! Can combine with a run downtown. It’s about 1.5 miles from the State Capitol, taking S. 3rd St. You cal also cross I-71 from on a pedestrian bridge, just east of S. 4th St., into German Village. Some really excellent articles on this internet site, regards for contribution. “Gratitude is merely the secret hope of further favors.” by La Rochefoucauld. Hey there! Someone in my Myspace group shared this website with us so I came to check it out. I’m definitely enjoying the information. I’m book-marking and will be tweeting this to my followers! Terrific blog and fantastic style and design. Pretty component to content. I simply stumbled upon your blog and in accession capital to claim that I get in fact enjoyed account your weblog posts. Anyway I will be subscribing to your augment or even I success you get admission to consistently fast. Do you have a spam problem on this site; I also am a blogger, and I was wanting to know your situation; we have developed some nice practices and we are looking to exchange strategies with others, be sure to shoot me an email if interested. Hi there would you mind stating which blog platform you’re using? I’m looking to start my own blog in the near future but I’m having a tough time deciding to go with WordPress. I’m impressed, I need to say. Really not often do I encounter a weblog that’s both educative and entertaining, and let me tell you, you’ve gotten hit the nail on the head. Your thought is excellent; the issue is one thing that not sufficient people are speaking intelligently about. I am very completely satisfied that I stumbled throughout this in my seek for one thing referring to this. Great – I should certainly pronounce, impressed with your site. I had no trouble navigating through all tabs as well as related information ended up being truly simple to do to access. I recently found what I hoped for before you know it at all. Quite unusual. Is likely to appreciate it for those who add forums or something, web site theme . a tones way for your client to communicate. Excellent task.. These are in fact wonderful ideas in concerning blogging. You have touched some good factors here. Area is 230 acres. 1.5 miles from downtown. If running from downtown, you'll need to cross I-71. At S. 3rd St. or the I-71 Pedestrian Bridge.